Marcus Antonius Gordianus Pius Augustus was Roman Emperor from 238 AD to 244 AD. 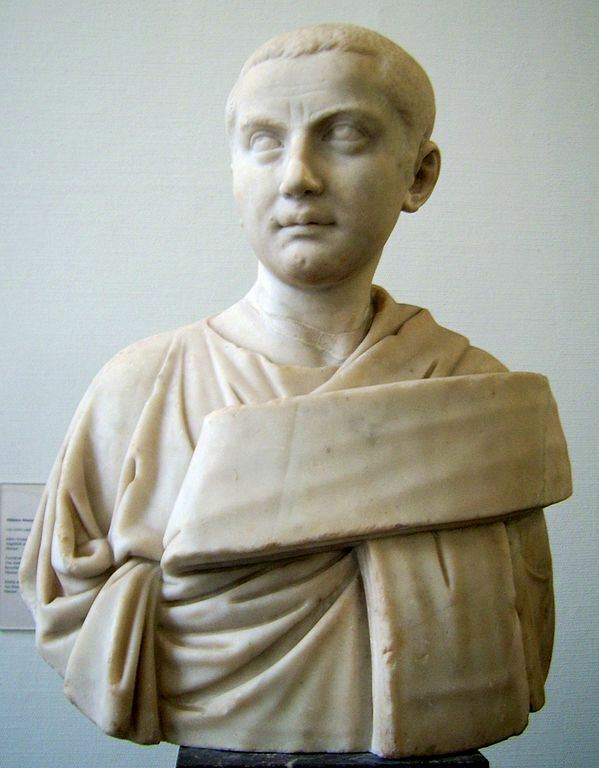 At the age of 13, he became the youngest sole legal Roman emperor throughout the existence of the united Roman Empire. Due to Gordian's age the imperial government was surrendered to the Senate. In 241, Gordian was married to Furia Sabinia Tranquillina, daughter of the newly appointed praetorian prefect, Timesitheus. As chief of the Praetorian Guard and father in law of the Emperor, Timesitheus quickly became the de facto ruler of the Roman Empire. During a successful campaign against the Sassanid Empire, Gordian III died - either in battle or via treason - and was succeeded by Marcus Julius Philippus, also known as Philip the Arab. (17) Gordian III 238-244 A.D.